For a limited time only, order a copy of The Catalpa Rescue and you'll receive a copy signed by Peter FitzSimons! *Available while stocks last. New York, 1874. Members of the Clan-na-Gael - agitators for Irish freedom from the English yoke - hatch a daring plan to free six Irish political prisoners from the most remote prison in the British Empire, Fremantle Prison in Western Australia. Under the guise of a whale hunt, Captain Anthony sets sail on the Catalpa to rescue the men from the stone walls of this hell on Earth known to the inmates as a 'living tomb'. What follows is one of history's most stirring sagas that splices Irish, American, British and Australian history together in its climactic moment. 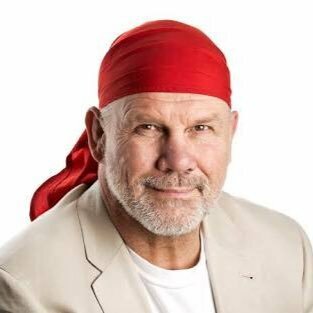 Peter FitzSimons is one of Australia's most prominent and successful media and publishing identities. His busy professional life involves writing weekly columns for the Sydney Morning Herald and Sun Herald newspapers, appearing on Foxtel's The Back Page television show and, when time permits, authoring best-selling books. A correspondent for London's Daily Telegraph as well, he is also in high demand as a guest speaker and presenter. For the past two decades, the much-traveled former Wallaby rugby international, who masters four languages, has interviewed some of the world's most famous figures, including former US President George Bush, Mother Theresa and football great Diego Maradona. Writing is his passion. He is the biographer of World Cup winning Wallaby captains Nick Farr-Jones and John Eales, former Federal Opposition Leader Kim Beazley, war heroine Nancy Wake, former Australian Test cricket captain Steve Waugh and magazine queen Nene King. In 2001 he was Australia's biggest selling non-fiction author with just under 250,000 sales. He duplicated that feat in 2004 with his book on Kokoda and had similar success in 2006 with his book on Tobruk. Born on a farm in NSW's Central Coast, Peter FitzSimons attended Knox Grammar School in Sydney before accepting an American Field Service Scholarship to live in Ohio for a year. He returned to complete an arts degree at Sydney University, majoring in government and political science. A second-rower, he won Wallaby selection in 1984, later moving to France and Italy where he played rugby for the next five years. On his return to Australia he again played for the Wallabies going on to play seven Test matches. He launched his journalistic career with the Sydney Morning Herald in 1989. Two years later he released two best-selling books, Basking in Beirut and Little Theories of Life and signed a contract with the Nine Network that resulted in him presenting current affairs and sports programs for the next four years. His association with Foxtel commenced in 1995 and continues to this day. Considered one of the ten most popular after-dinner speakers in Australia, Peter FitzSimons is married to Nine Network personality Lisa Wilkinson and they have three children.